Depart India and arrive in Mauritius where you will be welcomed by our representative and later escorted to your hotel by seat-in-coach. Check-in, relax and spend the rest of the day at leisure. Dinner will be served in one of the restaurants at the hotel and stay overnight at hotel. 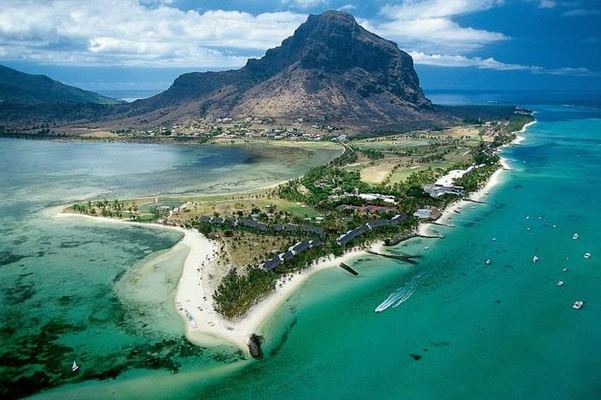 After breakfast, depart in a coach for a full-day excursion to Ile Aux Cerfs, an emerald lagoon on the east coast. The island is known for its sandy beaches, beautiful lagoon and a wide range of facilities and activities. A swim and snorkeling in the lagoon are perfect ways to spend a day. You can also enjoy optional water sports such as banana boat ride, water skiing, parasailing and undersea walk at an additional cost. Return to the hotel in the evening. Dinner will be served in one of the restaurants at the hotel and stay overnight at hotel. Tip : Please carry swimming suits, towel & sun screen lotion. Post breakfast proceed for a full-day North Island tour Visit the capital city- Port Louis / view of the Citadel/ Champ de Mars/ Government House/ Harbour /Shopping in the local market. Drive through the city centre to reach 'Caudan Waterfront' a commercial landmark of shops, restaurants, Craft market etc. Return back have dinner and stay remains at the hotel. Post a filling breakfast you will proceed for the Sea Kart Activitiy. Sea Kart offers you the unique possibility to discover the beauty of the Mauritian lagoons whilst driving your own speed boat .The Seakart is a world exclusive water sport activity comparable to a jet ski without the safety issues and is much more comfortable. After the One Hour Activity you will be transferred to the hotel the remaining day is free at leisure. You can enjoy the day on your own or relax at the beach. Dinner and stay at hotel. After breakfast, proceed for a full-day South Island tour. Visit the to the Glass Gallery shop, then proceed to Curepipe to the spectacular crater 'Trou aux Cerfs' where one enjoys the extensive view of the island. Few minutes away there is Floreal a destination which includes a textile museum/ shopping centers/ café/ 12 duty free boutiques/Ship model factory-shops. Then you proceed to discover the unspoilt beauty of the forest where flows a sacred lake, the 'Grand Bassin' (Ganga Talao) a place for pilgrimage. Enjoy the magnificent view of Black River Gorge on the way to Chamarel, the place where the seven colour earth is found. Return back to hotel have dinner and overnight stay at the hotel. 06 Nights’ accommodation in Mauritius. Full day tour to South Island by seat in coach basis. Half day Seakart Acitivity . All tours and transfers on SIC. Super peak season surcharge If applicable in the Hotels or weekends surcharges(if any). The sole international airport for civil aviation is Sir Seewoosagur Ramgoolam International Airport, Another airport is the Sir Gaëtan Duval Airport in Rodrigues.